To attract and retain a young talented workforce by empowering McKinney's Young Professionals in the growth of community and business. 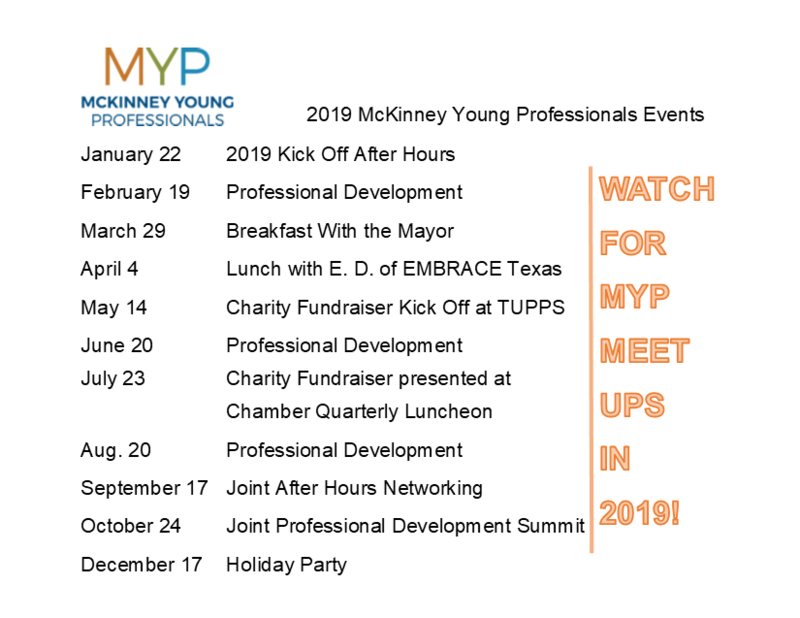 McKinney Young Professionals was created in 2006 to help young professionals build relationships, grow in their careers, and make an impact on their community. Fun and impactful events designed to help you get to know other young professionals as well as community and business leaders. 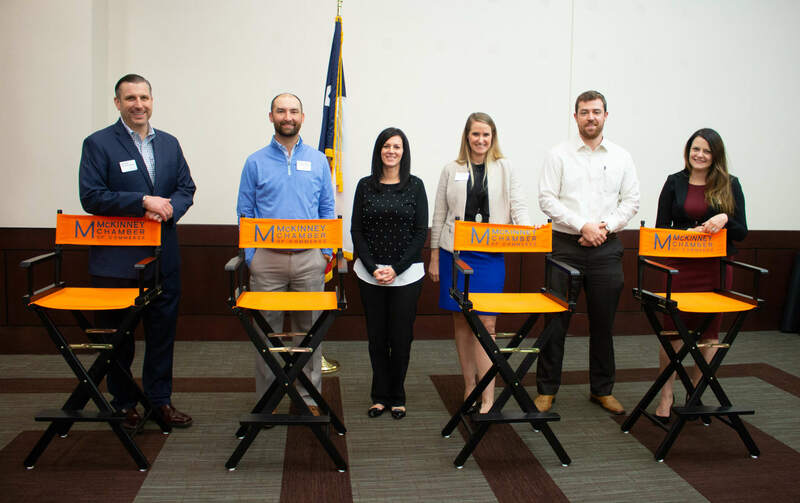 Professional development opportunities featuring incredible engaging speakers, fun surprises, and actionable insights you can implement in your career right away. A way to impact and give back to the community, helping McKinney continue to receive national recognition as an incredible place to live, work and play. You live or work in McKinney. You're an ambitious professional between 21 and 40. You're looking to make connections and build relationships. You want to invest in yourself and your career. You want to use your skills to make a difference in McKinney. Ready to join MYP? Download the application here. Membership Eric Jeske Kimley-Horn & Assoc., Inc.